Arts Center of Coastal Carolina – Located in the heart of Hilton Head Island, the award winning regional Arts Center of Coastal Carolina is a remarkable showcase for professional performing and visual arts, as well as cultural festivals and educational outreach. And proof that life on our legendary white sand shores is so much more than a day at the beach. Coastal Discovery Museum – The Coastal Discovery Museum was established in 1985 with a mission to teach the public about the natural history and cultural heritage of the Lowcountry. 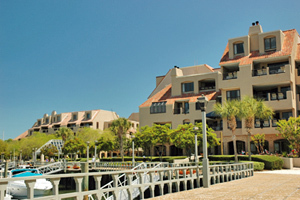 The Museum makes learning about Hilton Head Island and the surrounding region a fun filled experience for the whole family. Bluffton Farmers Market – Fresh, locally grown vegetables, fruits, flowers, plants and herbs abound at the Farmers Market of Bluffton, a weekly community event where locals and tourists gather not only to buy excellent produce but also to enjoy delicious food, listen to entertainment, and relax with friends. Located in historic downtown Bluffton along Calhoun and Lawrence Streets and through Carson Cottages, this family friendly market showcases local growers, local food vendors, local entertainment, local community causes and local information about the Bluffton area. Art League of Hilton Head – Art League of Hilton Head promotes and supports visual arts through exhibitions, education and partnerships for the cultural enhancement of the community and its visitors. We provide valuable experiences for artists, art students, art collectors and enthusiasts, serving a diverse group of 2 million annual Hilton Head Island visitors and nearly 40,000 full-time residents.